Do a quick Internet search for “dog sitters,” and you’ll find dozens of sites—some free; some that require a monthly fee. I’ve personally used DogVacay.com (free) and Care.com (paid). Both sites were easy to use, had all of the information I was looking for, and included reviews from other pet parents. My recommendation: Use one of the free websites that includes reviews, such as DogVacay.com, Rover.com or Thumbtack.com. 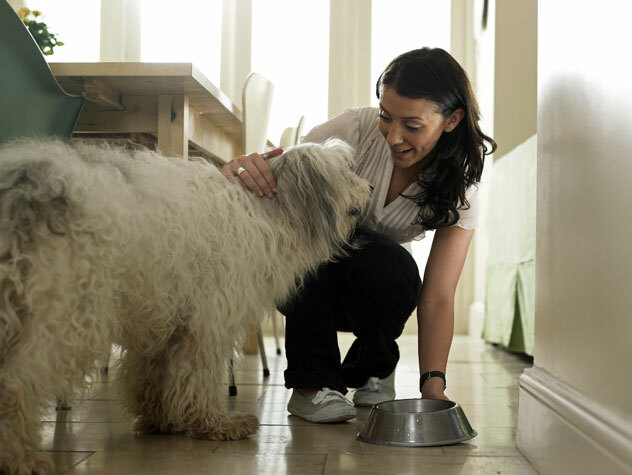 What is your daily routine when you dog sit? It’s important that you feel like you’re hiring a dog sitter you can trust, but it’s also important that your dog likes the sitter. He or she will be the one spending time with this person, after all. Set up a play date so you can observe how the potential dog sitter behaves around your pup and vice versa. If you and your dog agree, you can officially hire your pet sitter!